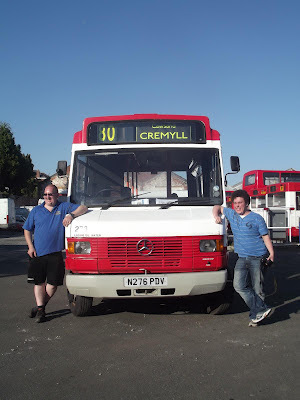 As a few of you will have probably already discovered, Ex-Plymouth Citybus Mercedes 709D made its rally debut last Sunday, and also its last, before coming out of preservation, and back into service, this being with A-Line Coaches. 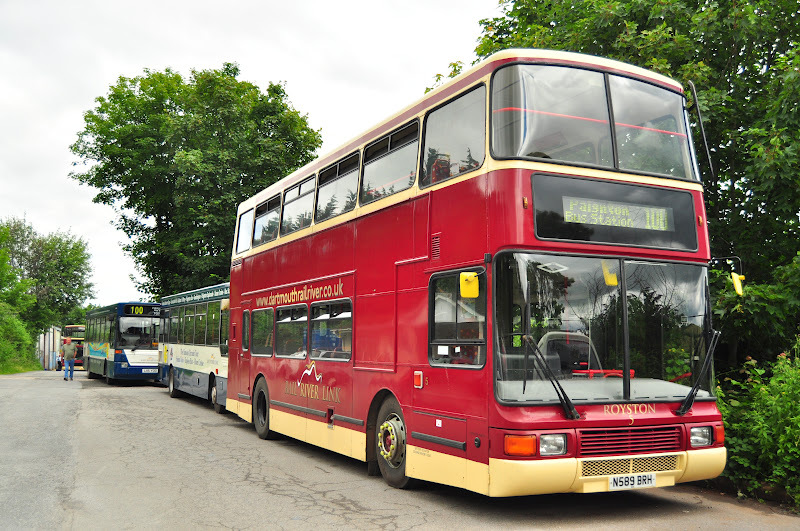 This is to act as the spare bus, in place of R260 GNJ which has now been retired from the fleet. Despite being older, undoubtedly N276 PDV will be more reliable, although is unlikely to be quite as economical as the frugal Ford engine fitted to the Iveco. Certainly a welcome addition to the fleet though, this one certainly seems to sounds nicer than PUI 6627 does! She needs a bit of TLC to get her up to scratch, but this has to be expected seeing as she has been residing in a corner of Winkleigh for 3 months, before purchase last weekend. Purists look away now!! The eagle eyed among you will note that N276 has now been fitted with a Western National blind! Shocking - but appropriate for her new use. 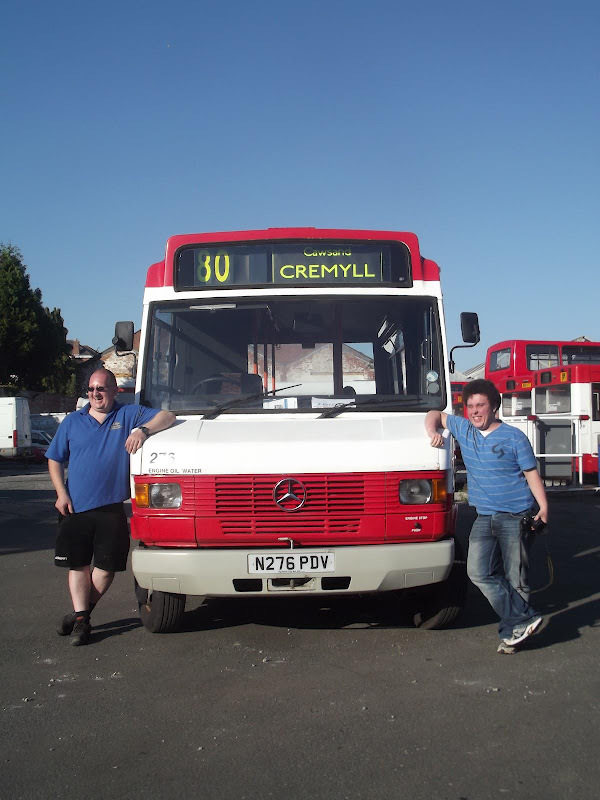 She is pictured here at what was her final time at Milehouse Bus Depot before moving onto A-Line's Foss Quay depot, during the handing over ceremony, with myself and Derrick Cuff pictured. Photo comes with thanks to Bobby Darch. She is seen here boarding the Torpoint Ferry for what is highly likely the first time, on her way to her new home. A-Line Coaches latest addition to the fleet, PUI 6627, originally L813 SAE when new to Bristol, has been settling in well at the company over the last couple of weeks. 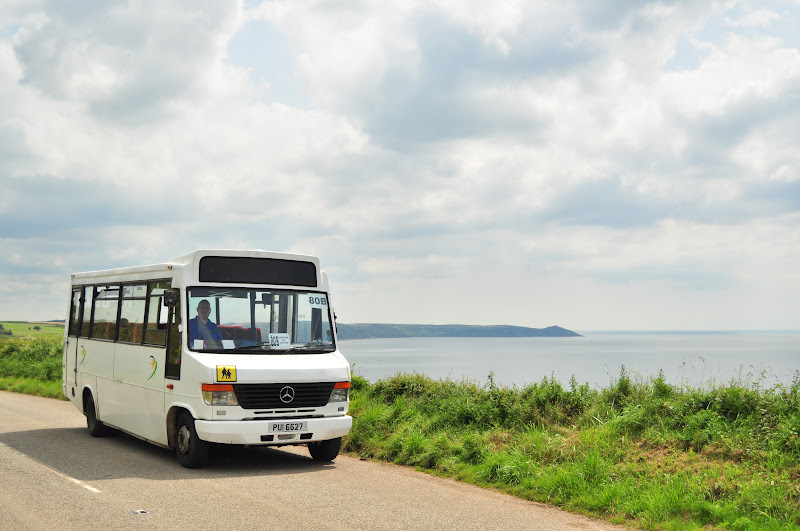 Due to problems with the X reg Mercedes Vario, this week she has seen service on the 80A/B between Torpoint and Liskeard. PUI really is a great little 709D, certainly one of the best looked after I have ever had the pleasure to ride in, with some very comfortable coach seating and mock wooden dash. When asking a passenger how old he thought the bus was, just to test the water, he replied 2002, some 8 years younger than her real age, and indeed she does hide it very well. A-Line pretty much acquired a Vario for 709D money, and with all the benefits of a good reliable engine, without all those bloomin engine management systems, and improved fuel economy. PUI is pictured here on a corner I've always wanted to take photographs at, this being on the hairpin bend rising out of Downderry, towards Crafthole. Would have loved to have taken photos of the VRs and Olympians coming out of here on the old 81A though rather than a Mercedes minibus! 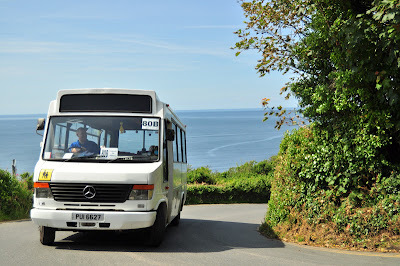 She is pictured again here climbing out of Portwrinkle. And again looking over Whitsand Bay towards Rame Head. 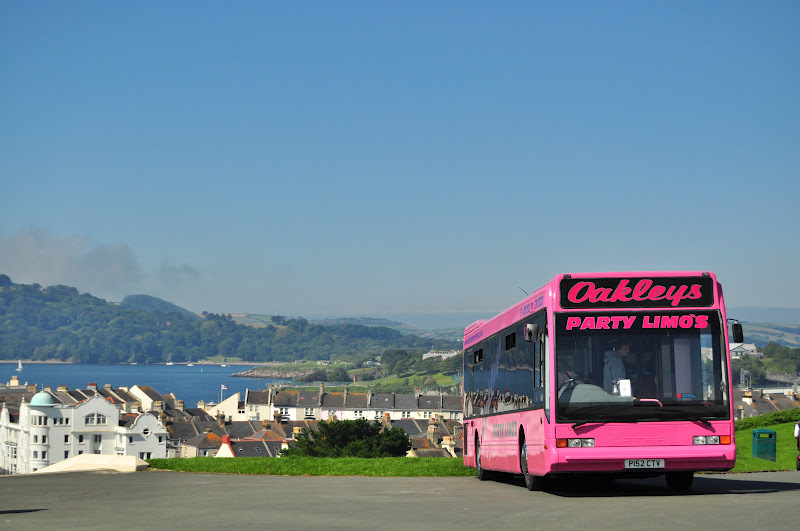 Oakley's Party Limos have continued to go from strength to strength and have recently expanded the fleet with 2 new additions. As many of you will have seen on The Hoe last weekend, they have recently converted Optare Excel P152 CTV as their latest party bus. Owner, Paul Oakley, does all the conversion work himself, and I think you'll all agree, to a very high standard. Certainly looked extremely smart when displayed last Sunday. The latest addition though, added only a couple of days ago, is this interesting Van Hool (LAG Motorcoach) EOS 180Z. I had at first thought K100 EOS must have been a private registration, surely this wasn't from 1992!? But indeed with many thanks to Graeme Selway, with his far superior knowledge, this is indeed its original reg, K100 being new to Coach Stop (Hopes) of Leigh on Sea. She then passed to McLeans of Whitney before its ultimate demise in January of this year, then passing to another local operator, this being Walter's of Forest Hill from whom she has just been purchased from. A very interesting company which is quite frankly blog worthy in its own right, and hence I shall return to this in due course. Certainly a very interesting, and rare thing to find in the UK, and it certainly seems to be in good condition. 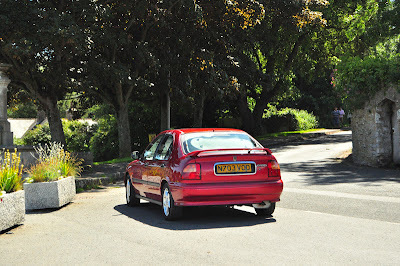 I have been reliably formed she performed faultlessly and with gusto on the trip back down to Plymouth on collection. 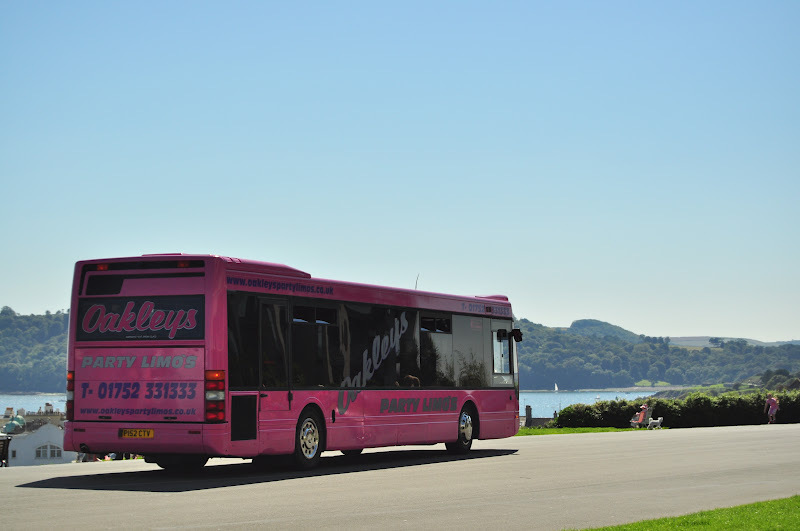 This coach will now join the Van Hool bodied Scania K113 in the private hire fleet, rather than being converted for party use. As afore mentioned, we all saw this coming as soon as Stagecoach pulled out. With such a large and powerful presence within the town, it was hard to see who would be willing to step up to the mark, where the 2nd largest operator in the UK couldn't successfully compete. 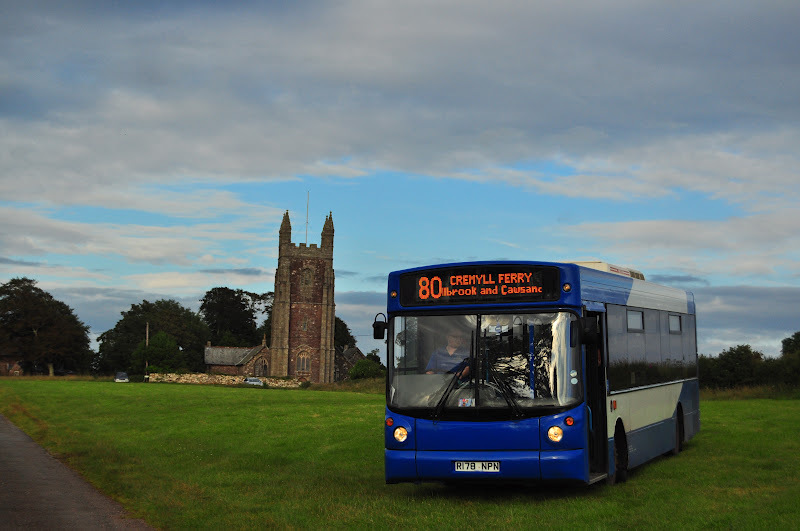 Its been a rapid takeover by Stagecoach of the town, having only run in Barnstaple since 2006. 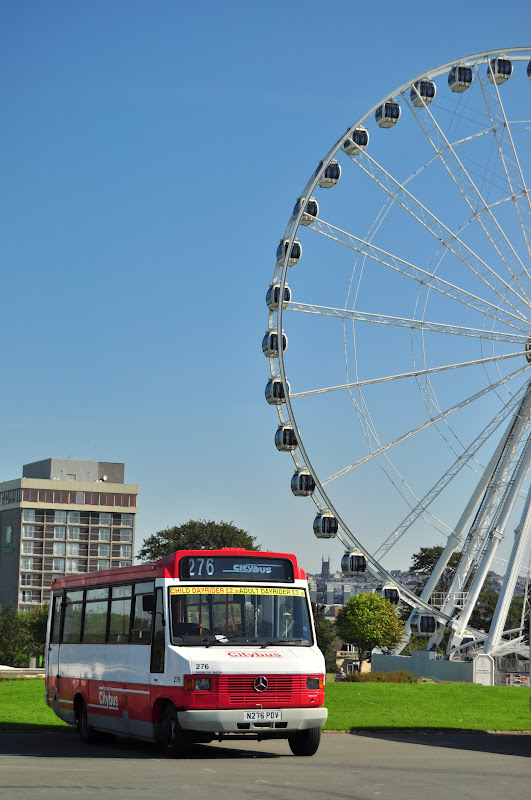 But contracts have been won thick and fast, and their investment in a modern fleet, coupled with successful branding opportunities has meant First has been hugely weakened in just 6 years. Amazing really when you compare it to what it was during the Red Bus days. So now that First are being forced into a direct closure, this will mean that unlike with an onward sale to Stagecoach, no set routes can be preserved, and no employees from FDC will 'have' to be taken on by the company. This also means of course Stagecoach won't have to shell out the 2.8million asking price for the Barnstaple operation, and will effectively be able to step into its shoes for free, other than adding some extra buses in and expansion of depot space, with hiring of extra employees, still a huge amount less than what it would have cost them otherwise. On top of this, First at this time could certainly have used that money in some extra investment to help its other suffering sectors in the UK. There is no set date as of yet for the closure of the depot, but at a guess it will be after the holiday season; hopefully there's at least a bit of cash that can be made during the summer boost in passengers! So, with the PC back in action I am able to post the photo I was wanting to last week; hopefully it was worth waiting for! 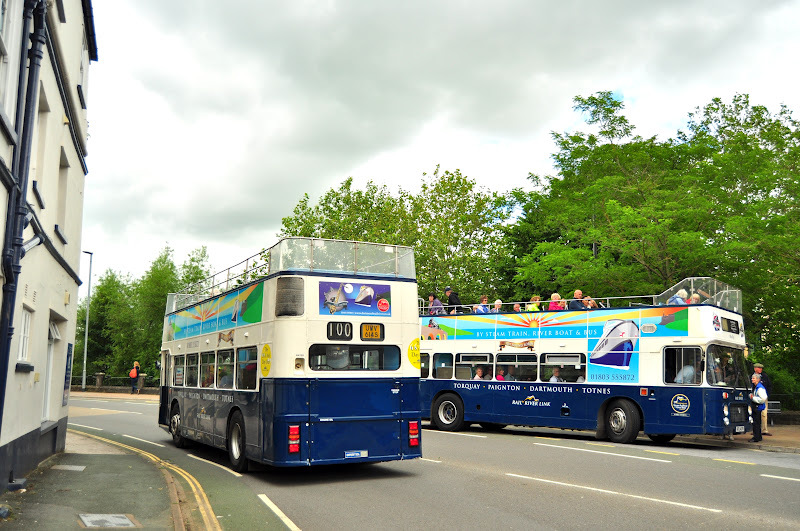 How many places can you find in the UK today with Bristol VRs operating in public service side by side, earning their crust at a combined age of 67. All of Rail River Link's fleet look immaculate, and these two are no exception. I feared that with all these Olympians arriving in recent weeks that finally it was the end for the VRs, but thankfully, from what I hear, there are no plans to lay them to rest just yet, and hence will continue in front line service for the foreseeable future. PLEASE NOTE; TOMORROW (Thursday) will now be the final day of operation for the Volvo B10M Citybus and NOT FRIDAY as was previously thought. This is due to the end of the school term tomorrow and hence no services will operate on Friday. So unfortunately there's now just one day left to get in the final snaps before they're retired. Thanks to Dan Marker for informing me of this change. 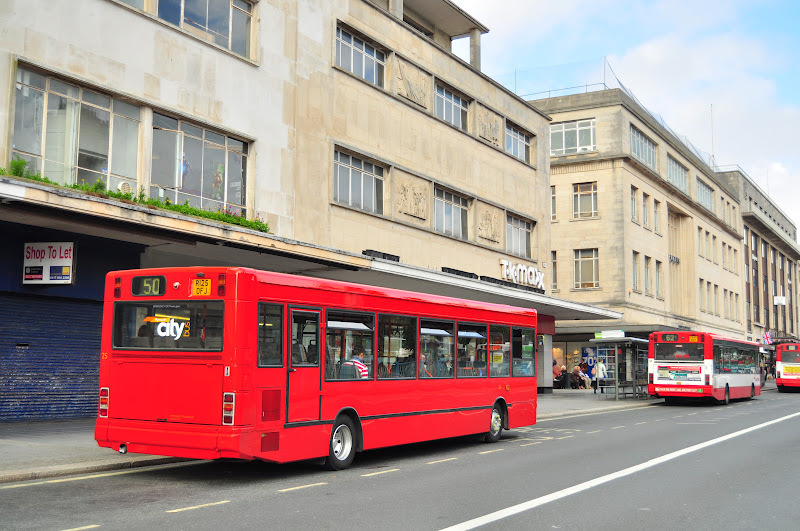 Just as a quick reminder to you all, this week is due to be Plymouth Citybus' remaining Volvo B10M Citybus's last week in service before being withdrawn from service. Although of course it was announced that a majority of the school routes will be returning in September, I have it on good authority that unfortunately, the B10Ms will not make it back come September. As always plans can change; and they often do. We may indeed see a couple kept on as a last resort, or the stock due to replace them not arriving in time, along with a plethora of other problems that could always arise. But undoubtedly if you hold them dear enough to your hearts and don't want to miss it, then you will want to grab this opportunity. 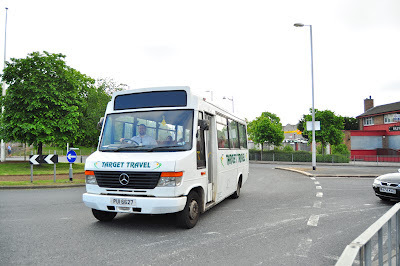 If you head upto Derriford Hospital at just after 1700 it is commonplace to see at least two, if not three operating in public service for their run back into the city from their respective termini. If you really want to see how a B10M can perform the best route of the 3 is undoubtedly the 28B, with some great hills to test their strength. 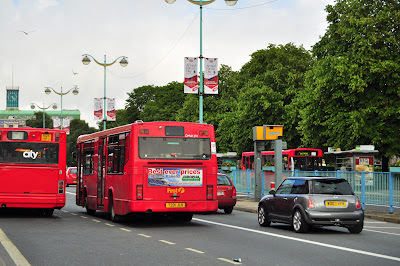 Alternatively you can have a quick blast down Tavistock/Outland Road on the 34, or, if you're lucky, a B10M does still now and again operate on the 50 at this point in the day, although this is now somewhat rarer. The other, option you have is to head on up to Milehouse at somewhere around 1515-1530 to capture the B10Ms pulling out of the depot heading to their respective schools to pick up their journey. Unfortunately taking photos of the buses loaded is somewhat more 'dangerous' than it once would have been, but thankfully I am in quite a lucky position as a pupil who has just left Devonport, and hence, thankfully, I'm still a face everyone recognises and isn't 'threatened' by, and I shall most certainly be capitalising on this position over the coming week. Unfortunately I am unable to post the photo I really wanted to this week due to it currently being 'stuck' on the main PC, after the screen going bang a couple of days ago, so I shall leave that for next week. In its place therefore I post this photo of another London-esque shot, again from two different operators. 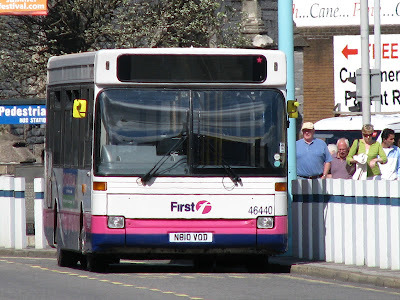 First Devon and Cornwall are continuing to place more Ex-London Darts into service including full length ones, in which the one furthest away from the camera is, this being X734 HLF. A shorter spec Dart, LN51 GOU is seen the other side of 32762 (which the keen eyed among you may have noticed has had its LED blind replaced with a Hanover 'flip-dot' blind! ), and nearest the camera, Jackett Coaches BX54 DLF. With another of Plymouth Citybus' Darts also now painted in this still somewhat mysterious overall red livery (T129 EFJ), Plymouth is continuing its theme of becoming red all over. Dwelling on this for the moment, it was even more surprising to find that T129 EFJ had actually already had the front painted in the dark red of the livery whilst wearing the British Art Show advert livery, but yet has now had it painted into the lighter red of the livery. 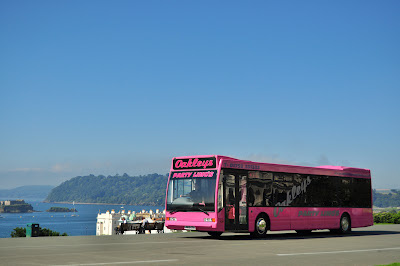 "Hang on lads, I've got a great idea"
Well, it seems that Plymouth Citybus has come up with a solution to the problem that many of us foresaw with the new livery. As many members of the public, as well as enthusiasts pointed out, there was no room for advertising on the new livery design, with the various large logos and Key Card messages adorning the whole sides of the new livery. 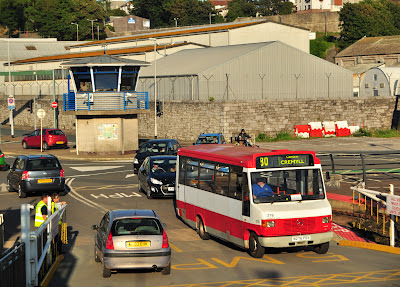 But never fear, Plymouth Citybus have come up with a solution; and here it is! A-Line's Iveco 59.12 R260 GNJ suffered substantial engine problems a week or two ago, leaving it pretty much incapable of moving itself, although was able to be limped back to the depot, although a repair seemed pretty unfeasible. Luckily, other local independent, Western Adventurer, had recently withdrawn their Iveco from service due to chassis rot, but the engine was still in good working order. So, over just 2 days, an engine transplant was made, and R260 returned to the road for the working week, on its usual school contract. Quite amazing work I think it has to be said! Further to the 2 Olympians bought by Riverlink a short time ago, a third has now also been added to the fleet, again coming from well respected operator, EYMS (East Yorkshire Motor Service). Interesting that Riverlink have chosen to go with three different body styles across three different batches that these buses have come from. 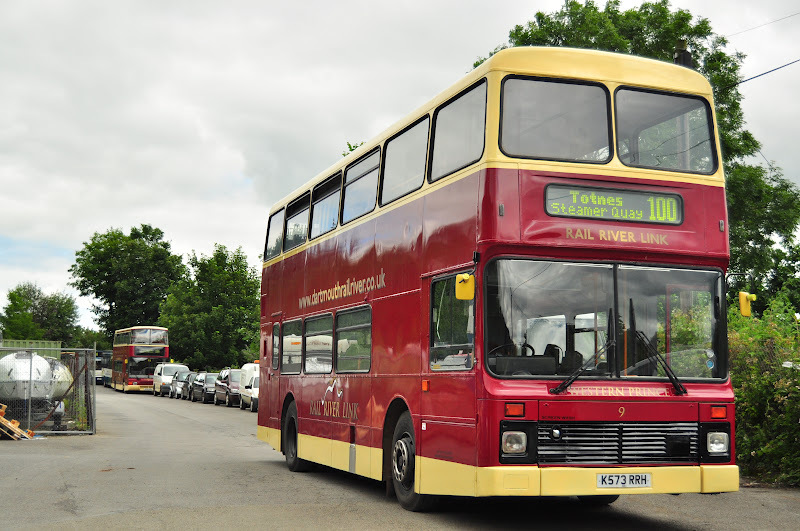 The first to come was Northern Counties Palatine 1 bodied Leyland Olympian K573 RRH, my personal favorite of the trio, purely due to the fact that this one is fitted with a Gardner 6LXB! It was a pretty rare combinaiton at this point, so to find one still in such good working order really is a treat. I haven't yet had the chance to sample K573, largely thanks to the rain actually holding off during today, and hence the VRs were allowed out to play, with WTU 467W being used on the main duty today. K573 is also fitted with coach seats, which again looked to be in a tidy state. I shall look forward to having a bash when the weather turns for the worst! Next arrival was Alexander Royale bodied Volvo Olympian M832 HVC. This one features standard bus seating rather than coach seating seen on the other two acquired from EYMS. 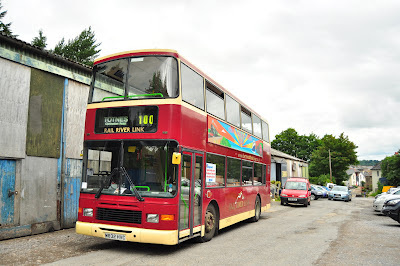 This one was new though as a Volvo demonstrator, visiting many operators around the country before settling down with EYMS, so this has got a nice bit of history behind it. The latest arrival is Northern Counties Palatine 2 bodied Volvo Olympian, N589 BRH. Again, a very smart and well presented vehicle. 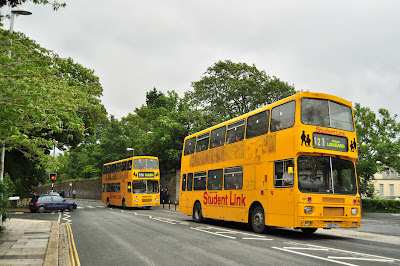 Interestingly, although the trio appear to be still in EYMS livery, they have infact been re-painted at Plymouth Citybus, but back into the same livery, with a few very minor modifications. Not quite sure why they have decided to move away from their tradition livery of Blue and White, which the VRs and Darts still carry. I would have presumed confusion with First's livery would be unlikely, but that's the only logical reason I can think of, off the top of my head as to why they may have done this. To my knowledge, none of the three Olympians are actually due to be converted to open top format, and hence the VRs look set to remain in frontline service for the foreseeable future, although it does seem slightly strange to have 2 VRs, 2 Darts and 3 Olympians operational, when the 100 only needs 1 bus for its PVR, along with the 100 GOLD and 100 GOLD + services requiring 1 bus each for 2 journeys per day. This leaves 4 buses spare, with 6 available for a majority of the day. I shouldn't nit pick, its a wonderful fleet, and one of an ever decreasing amount of operators who still strive to keep their VRs running, with more and more each year fading away. Seems slightly strange that just as Plymouth loses a Trident to Weymouth, it gains Tridents from elsewhere! Very little logic in that it seems but there we go. 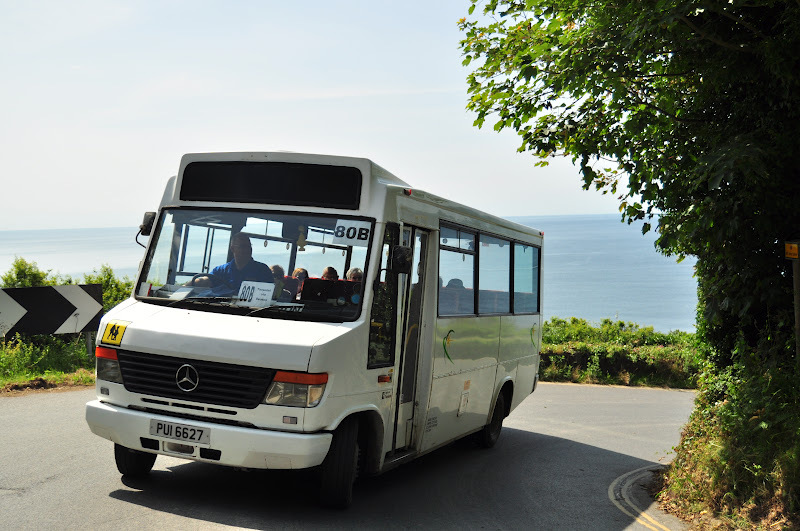 The plans for the covering of the Park and Ride services in Plymouth are beginning to come to fruition, with several of the stand ins out in service today. You'll note that all of the buses received so far are Barnstaple allocations, including one of the Enviro 400s bought new for the X9, Bude - Exeter, appearing in a de-branded state on the PR1 today. 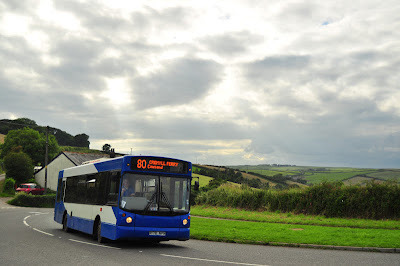 With Stagecoach having such a strong presence in Barnstaple now, running pretty much parallel to First along various key corridors, it would seem unlikely that deckers would be required for FDC's services in the town anymore, purely a presumption though, I may be completely wrong! I could of course use the classic 'I've never seen them full! ", which indeed, I haven't, but I'm not there monitoring the services 24/7, so it would be wrong to say so for definite. When they were new in 2005 the capacity most likely would have been needed, as this was before Stagecoach began operating from Barnstaple, with First having it pretty much all to themselves. 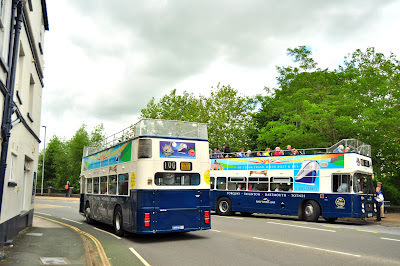 But of course Stagecoach have competed with them fiercely over the last few years, knocking them down to the onward sale we will imminently see. Ex-London Dennis Darts, as well as a couple of Volvo B6s and Volvo Olympians from Cornwall have been transferred to Barnstaple to fill in for the Tridents, but it will be interesting to see whether these are the buses that get sold on to Stagecoach within the deal and First are moving the good stuff out, or whether it will be in the sale agreement that the Tridents and Enviros have to be sold on with the operations. Only time will be able to tell us that. All photos come courtesy of Tom Pearce, with many thanks from me. Time's got away from me slightly, its actually the very early hours of Monday morning, but no matter, I shall press on regardless. 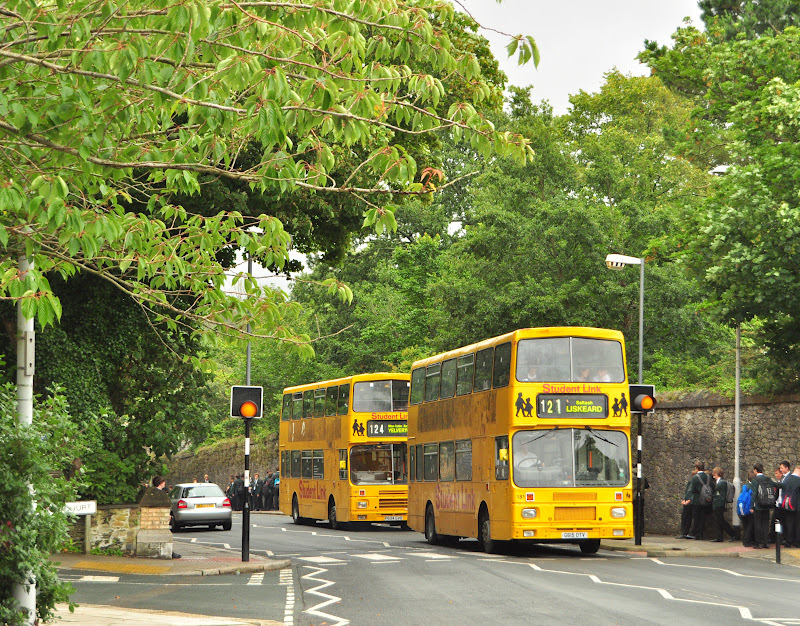 As the low floor era at A-Line draws to a close with the iminent withdrawal of Volvo B6 R178 NPN, I post these photos of her on what will likely have been the last time she operates in service with A-Line, pictured at the top turning for Cawsand at Fourlanesend, and also shown at Maker Church. A-Line Coaches have just received another addition to the fleet, this time in the shape of a very smart little Mercedes 709D, disguised under Vario modifications. 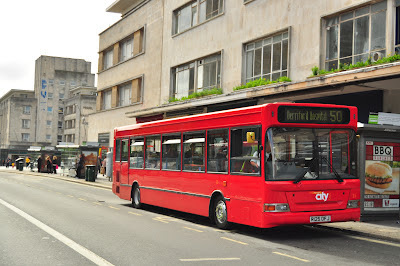 You'll recognise this from the Plymouth scene in that this was quite clearly previously owned by Target Travel, but was new as L813 SAE to Bristol in 1994. This should be a lovely addition to the fleet, it certainly gave a good ride when I was last on it, with a nice refreshed coach spec interior. 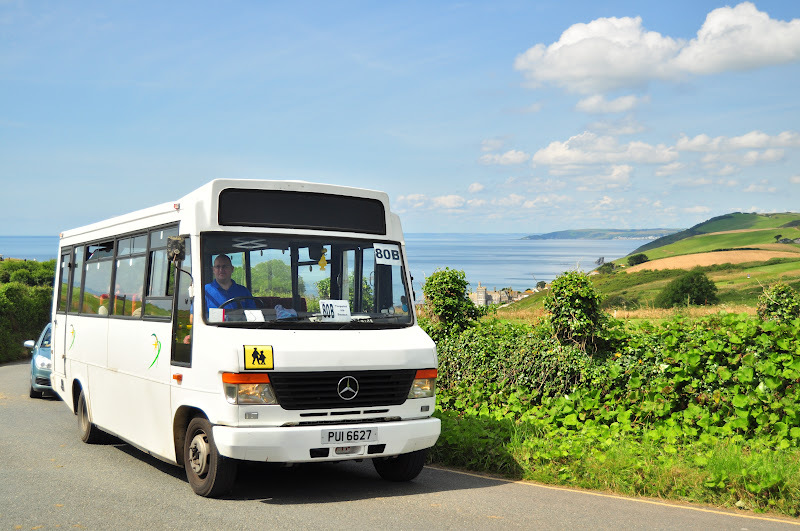 PUI 6627 will now takeover as the spare bus, meaning R178 NPN, the Volvo B6, can be retired and put permanently out of service. It has recently been filling in for a turbo-blown X891 YGU, but has suffered with some overheating problems; unsurprising considering the hills it has to contend with, rising and falling back to sea level effectively every 10 minutes. There will also be another 709D arriving in the next couple of weeks to act as another spare/permanent replacement for the Iveco, although full details cannot be disclosed at this time. 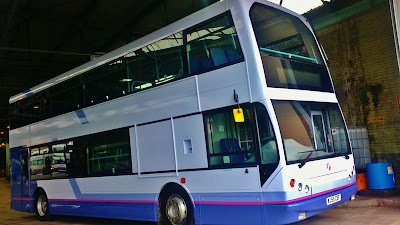 With many thanks to the First HD forum, via Luke Farley, I am able to post this photo of the first Plymouth bus to be painted into the new First Group livery (excluding the Enviro 400s for the Olympics of course), this being Dennis Trident WJ55 CSF, 32763. Unfortunately, 32763 is no longer based in Plymouth! She has just been transferred to Weymouth for the up and coming sailing events within Weymouth and Portland, and it is rumored that 32763 will be gaining branding for the 10/X10 which runs between Dorchester, and Weymouth and Portland. A shame therefore that Plymouth has lost this one, the 55 reg batch are a lot better than the W reg batch also used on X80s. It will be interesting to see if any of the other X80 Tridents are also moved to Weymouth in the coming weeks as well, as I'd doubt one decker would be satisfactory to the upcoming pressure that will be placed on Weymouth's network. 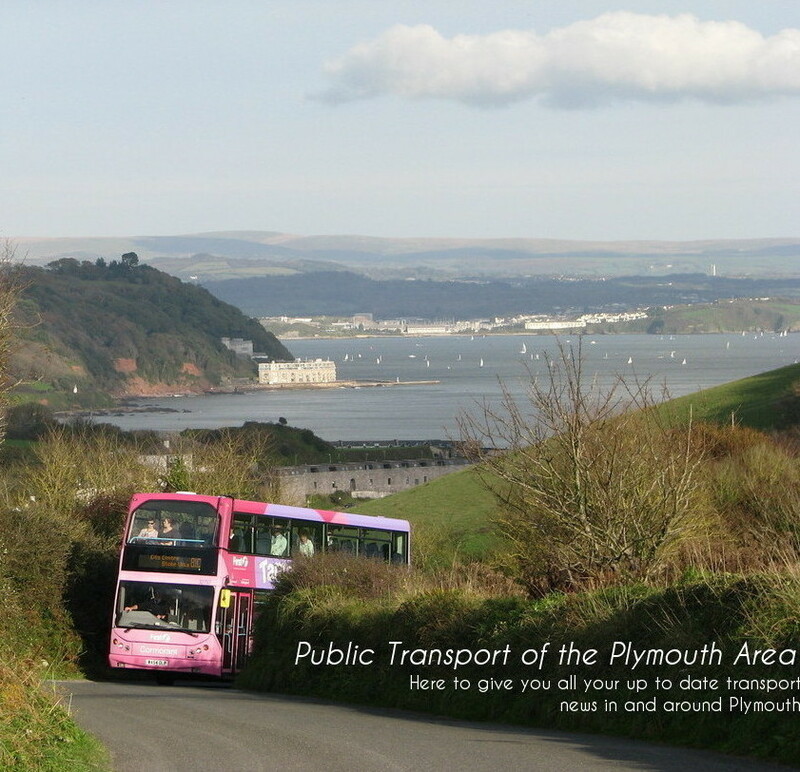 This will of course mean Olympians will be playing an even more important part in the day to day running of Plymouth routes, as already, Plymouth is struggling not only for double deck capacity, but capacity in general. 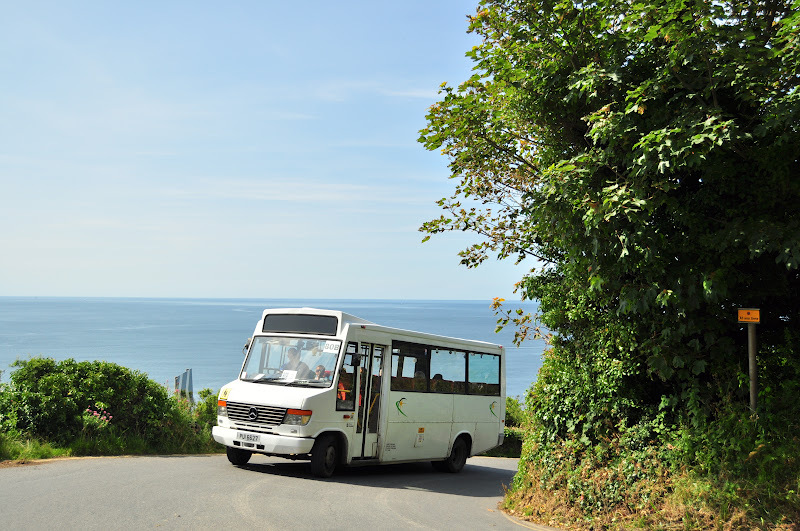 It has been reported that coaches have now also been escaping onto the Bude route, the 76. This of course was once quite common, particularly when the X8 variant was still in operation, but it is of course much rarer to find a coach operating in service today. 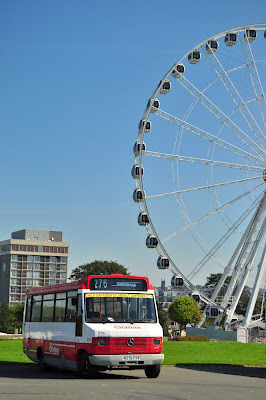 With thanks to Jared Pengelly for tipping me off on this one, I can bring you some photos of R125 OFJ which has appeared out in service in a partial repaint of the new Plymouth Citybus livery. Hopefully they will get round to fully completing this one, unlike several that only ever wore partial livery since the previous livery was being applied, having only the red rim done where there was once grey, without the additional 'swoops' of red added. Was quite a strange scene in fact earlier in Plymouth, you could have almost mistaken it for London! 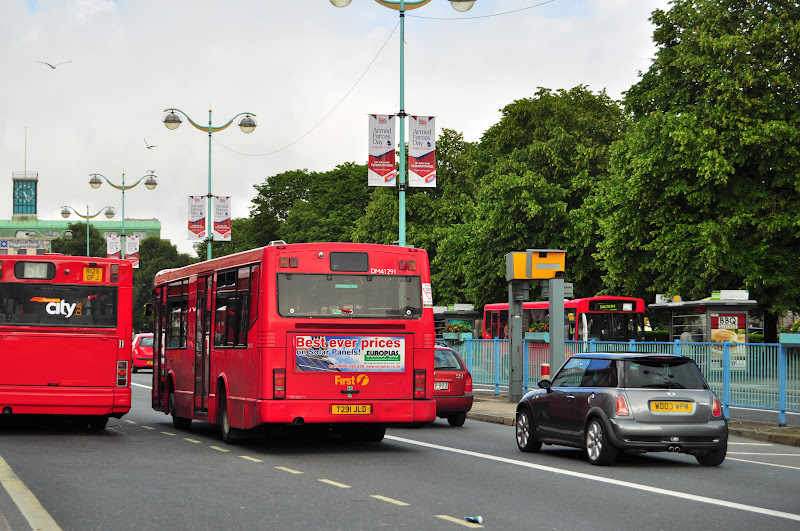 This photo shows two of First Devon and Cornwall's Ex-London Darts which have yet to be painted out of the First London livery, along with R125 OFJ looking somewhat Londonesque in its overall red. Taken in Cremyll yesterday, it took me a while to remember where I'd seen a similar registration before! Of course it was from Ex Red Bus Dennis Darts and 709Ds. Surprising therefore that not only has one of the Darts survived, now in service up with First Eastern Counties, but a Rover 420 has also managed to keep going that long. Particularly unusual seeing as Rover are of course defunct, and it is fairly rare to see a car even of this vintage out on the roads. Also that N810 VOD has managed to escape the scrapman, while newer local first generation low floor Darts haven't fared so well. N810 did spend a brief period in service within Plymouth during 2009, and therefore I post this photo below.